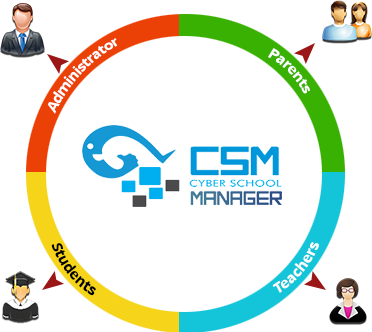 The Cyber School Manager (CSM)offers a completely customizable cloud and mobile based school management solution for managing academic processes. The system has rich features and functionalities that can be accessed by students, teachers, and parents on their smartphones, tablets, and PC. The school administration can seamlessly integrate the school information system with the Cyber School Manager to manage student data such as application, admission, attendance, grades and transcripts, discipline, accommodation, transport etc. The CSM allows students to create user accounts to apply for the numerous programs provided by the institutions. Admissions are faster and streamlined using online forms to make quick and easy application submissions. Applicants can real-time updates on the status of their applications and generate powerful reports. With the CSM School, administrations can create secure student data profiles with demographic and biographic data such as photos, grades, parent/guardian contact details etc. Track the student registration status in real-time and get access to their records using the quick search option. The CSM allows sending of automatic alerts to students, parents/guardians via email and SMS regarding the application status, enrolment, meetings, school activities, fees payment details, discipline cases, attendance reports, academic reports etc. The Cyber School Manager automates streamlines the fee collection process through seamless integration of online payment gateways enabling the payment of fees via the web and mobile devices. 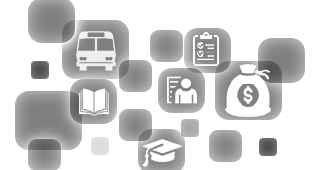 School administrators can track and enhance the fee payment for every student and generate up-to-date reports. CSM allows enables the administration to generate school schedule with the Time Table module and print accurate transcripts and report cards. 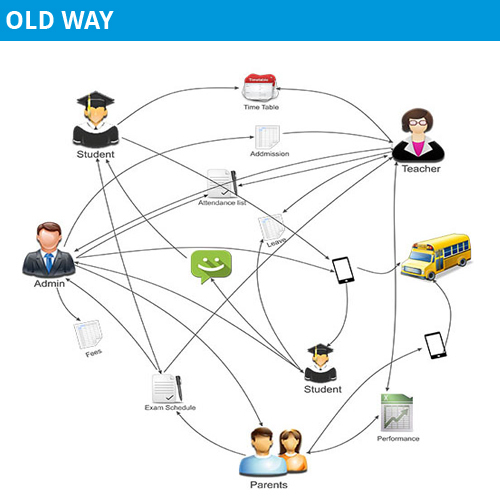 Teachers can create homework assignments and instantly share them with the students. Make your school administrative processes paperless with the Cyber School Manager with online application forms. Eliminate manual and repetitive tasks freeing up more time to focus on learning and improving the curriculum. 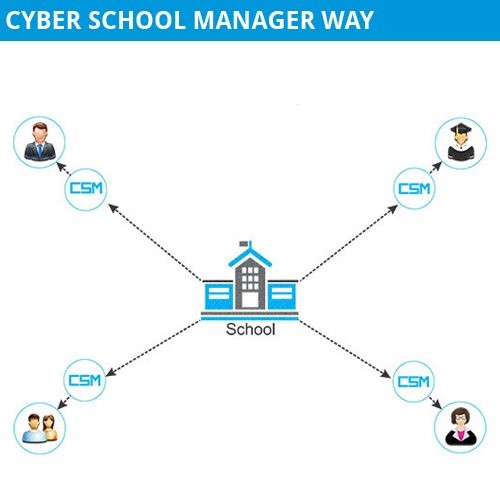 The Cyber School Manager from Cybrain Software Solution will streamline the operations of any educational institution with various modules including admissions, financial accounts, attendance, examination and results, hostel management, student/parent login manager, Email and Text, sports and events management etc. Our motto is "IT Solutions for the common people" and we deliver simple, effective and powerful software solutions.